We're still in the early days of the virtual reality revolution, but there's already an impressive amount of content out there. If you've bought yourself a shiny new Oculus Rift, HTC Vive or Samsung Gear VR, we've listed the best options here to save you the search. 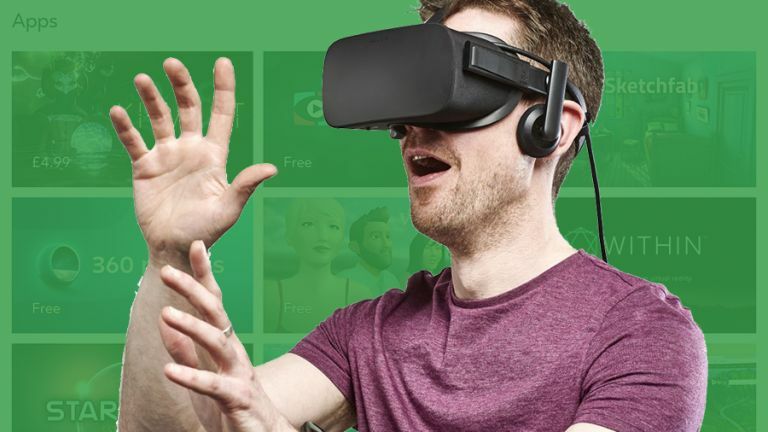 Most of our collection involves games of some description - at this stage it's difficult to imagine anyone picking up a pricey VR headset if they don't have at least a passing interest in gaming - but there are a bunch of other apps out there worth checking out too. We've left out the PlayStation VR this time as it doesn't launch for another month, but once it arrives, with a sizeable app library, we'll update our list to include it. VR doesn't get much more atmospheric at the moment than with Edge Of Nowhere, which pits you against both the freezing wilderness of the Antarctic and the mysterious horrors hiding underneath the ice... (just keep telling yourself it's not actually real). Unlike some other ported games, this one has been specifically designed with virtual reality in mind. Described as the story of "the greatest journey ever taken by humankind" and it's difficult to disagree - not only do you get an immersive documentary-style look at the famous moon landing mission, you also get to try taking control of the landing module itself, putting it down on the surface of the moon, and carrying out missions on the surface. There's just something about zooming through space that lends itself to the VR experience, as you gaze up and to the sides and around yourself at the universe you're surrounded by. This was one of the very first games to be developed for the Rift and it's still one of the best experiences you can get - a worthy addition to Eve Online. If you want to see the cinema of tomorrow today then get Henry downloaded to your Oculus Rift headset (it's free for a limited time). This short but beautifully crafted movie shows off just how immersive VR films can be, allowing you to peer all around each scene as the action progresses. Oh and it's narrated by Elijah "Bilbo Baggins" Wood as well. One of the high watermarks for virtual reality games right now, Windlands ticks all the boxes for gorgeous visuals and addictive gameplay, but what really sets it apart is the way it's been designed for VR - you spend your time flying, exploring and collecting, using a fluid movement system that's one of the best solutions yet to travelling in VR space. An app that does exactly what it says on the tin, giving you access to the whole of your Windows desktop from inside your VR headset - but it's a lot more exciting than it sounds, because it lets you experience any application or video (360-degree or not), from Microsoft Word to Netflix, in immersive 3D. You might never use your old computer monitor again. How do you solve the problem of moving through VR space when players are (for the most part) stuck in one place, or at least in one room? Put players on a hovercraft, that's how, and it works really well - you'll have a great time blasting away enemies in this futuristic, steampunk-inspired desert landscape, with some adrenalin-pumping shoot-outs. If you enjoy the idea of building something in VR space rather than blasting away space aliens or anything else, then Fantastic Contraption is the app for you: your goal is to engineer some 'fantastic contraptions' that can solve a set of fiendish puzzles on a floating island. There's no 'right' or 'wrong' approach, so you can have as much fun as you like. Vanishing Realms isn't finished yet, but you can play along as it's developed, and it genuinely does showcase the potential of virtual reality gaming. It's a game filled with swordplay, magic, monsters and more, and thanks to the room-tracking technology available on the HTC Vive, you get a genuine sense that you're exploring this world. Let's not forget the Samsung Gear VR, which isn't as powerful as the Rift or the Vive (because it runs from your phone) but is much cheaper and still a lot of fun. CastleStorm VR is essentially a mobile game (mixing elements of tower defence and other strategy games) transferred into a rich VR world filled with top-quality visuals and effects. A more relaxed, more laid-back VR experience from the makers of the hit mobile game Monument Valley, Land's End lets you float through some fantastic-looking virtual reality scenery as you set about... well... not doing much at all. There is actually an objective to the game but it's just as much about enjoying the whole experience as it happens. No doubt an app you're familiar with, but this should still be one of the first apps you get installed on your new Gear VR (full Rift and Vive support coming soon): YouTube has a dedicated 360-degree video section that's growing all the time, covering extreme sports, interactive shows, immersive music videos, tours of well-known landmarks and more.